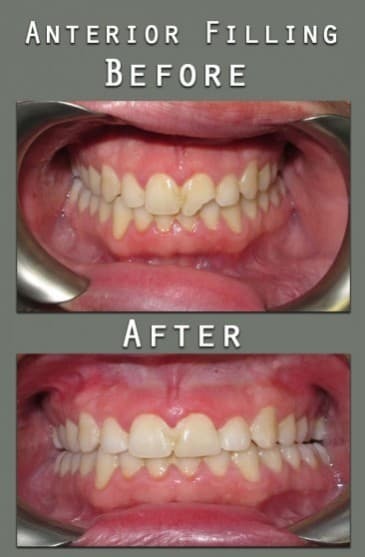 Green California Dental Group - Dr. Varand Kerikorian D.D.S. 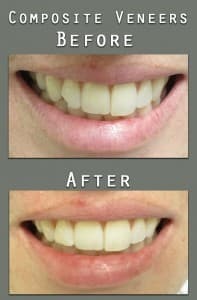 Come to the Burbank dentist office that cares about you and your smile! 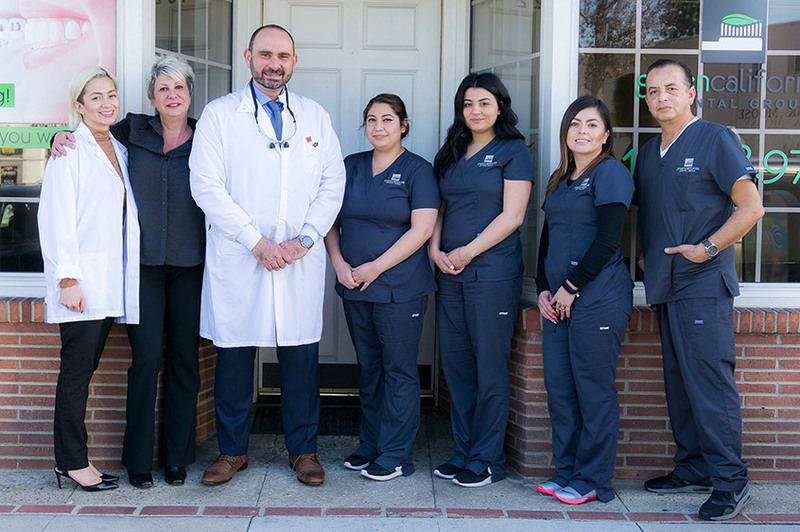 Green California Dental Group is a private dental office conveniently located in beautiful Burbank California that serves Burbank, Toluca Lake, North Hollywood, and the surrounding communities. The office is operated by Dr. Varand Kerikorian and his highly trained and professional dental office staff. 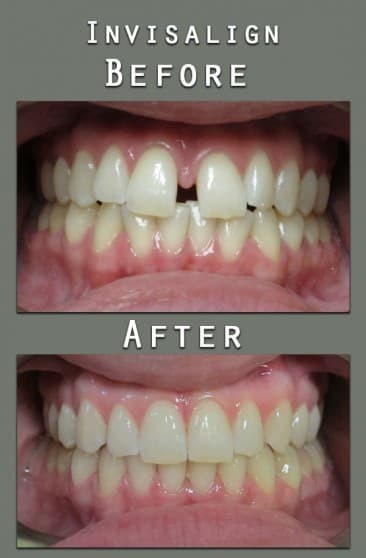 Green California Dental Group strives to provide the best in general and cosmetic dentistry to the community by offering the most conservative and innovative options available in dentistry today. Our newly renovated Burbank dentist office is equipped with the latest in dental technology including digital x-rays and charting, allowing us to be on the cutting edge in both comfort and care. Dr. Kerikorian and his staff work hard to make sure visitors to our office leave with a bright smile on their face, and keep it for years to come. Make an appointment with us and know you are in the hands of the best dentist in Burbank! 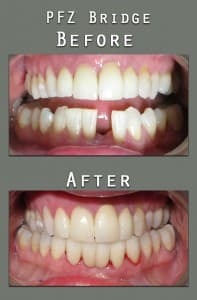 Put yourself in the hands of a Burbank dentist office you can trust! 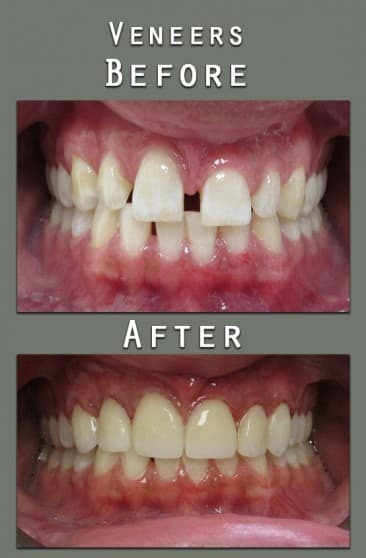 Our dentists share extensive experience and training in restorative dentistry. This includes both vast knowledge of and practical training in basic and advanced procedures, from cavity fillings to root canals. A Burbank Dentist You Can Trust. Dr. Varand Kerikorian is a general dentist focusing in family and cosmetic dentistry. 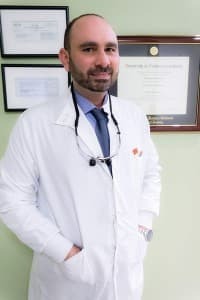 Dr. Kerikorian has earned his DDS degree from University of Southern California (USC) and has been involved in private practice and community dentistry since 2008. Dr. Kerikorian earned his Bachelor of Science degree from University of California, Los Angeles (UCLA) in Organizmic Biology and Ecology in 2004. 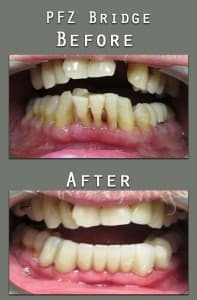 Dr. Kerikorian has focused in the latest technology in dentistry taking courses in Implant Dentistry and conservative restorative options in the dental field at USC. Dr. Kerikorian is affiliated with American Dental Association, California Dental Association and San Fernando Valley Dental Society. Dr. Kerikorian is an active member of Burbank Chamber of Commerce and other local organizations. Dr. Kerikorian proudly serves Burbank, North Hollywood, Toluca Lake and the surrounding communities. Conservative dentistry preserves the teeth in the mouth as much as possible. 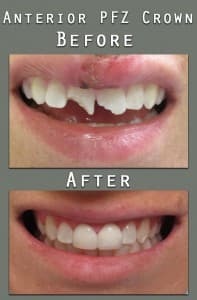 Conservative dentists performing procedures to remove damaged or diseased tissue attempt to limit the amount of healthy tooth removed, and focus on procedures that will conserve the teeth when it is a viable option. Extractions may still be considered if a patient’s tooth is too badly damaged to save. 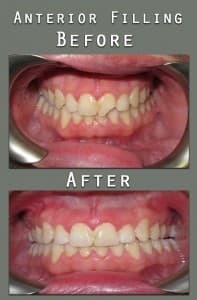 Services like braces, teeth whitening, and regular cleanings are important to helping conserve your smile and part of our approach. In this approach to dental health, practitioners, like Dr Kerikorian, carefully evaluate dental problems to determine the extent of any issues and develop a plan to treat. 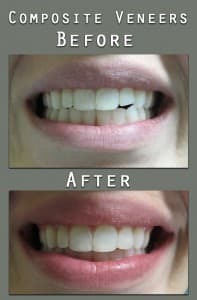 His goal is to maintain the integrity of the tooth while successfully treating the problem and preventing any recurrences. During a procedure like a filling or a more invasive root canal, Dr. Kerikorian carefully removes any infected, dead, and damaged material while leaving healthy material behind. A variety of approaches are used in conservative dentistry to control the operating field and treat the tooth. 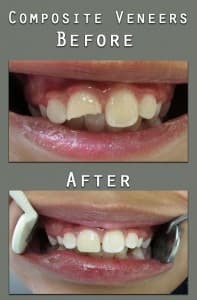 Once the dentist has cleaned the tooth thoroughly, filling can be added to preserve the integrity and prevent a recurrence by sealing the opening. 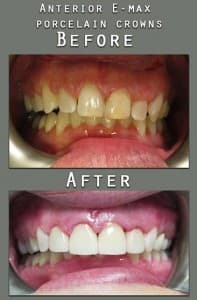 This tooth restoration process can take varying lengths of time, depending on the extent of the damage and the number of teeth involved. 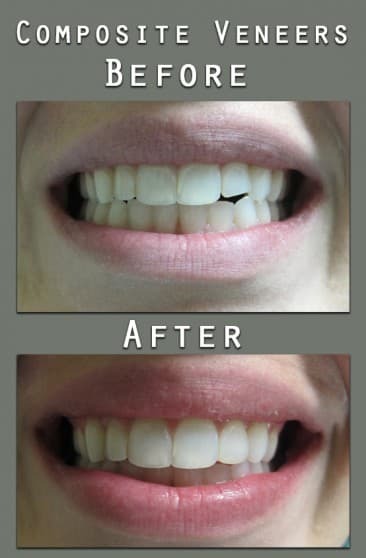 At the end, the patient retains the majority of the intact tooth. Followups can confirm that the tooth remains healthy and does not have any additional problems, to make sure the procedure was successful. Part of conservative dentistry, as in other fields of this health care profession, is preventative care. Dr. Kerikorian regularly inspects his patients for signs of dental disease, recommends cleanings to keep the surface of the teeth clean, and will provide advice on reducing the risk gum disease. Make an appointment today at Green California Dental Group’s Burbank office and experience the benefits of this conservative approach first hand! At Green California Dental Group, we believe all patients, regardless of their dental insurance coverage, deserve access to general dental services, and that our patients need a variety of ways to make their dental care affordable. To fulfill this mission, our Burbank dentist office accepts most HMO and PPO dental insurance plans. We also offer several options for the payment and financing of important dental treatments that may not be covered by an insurance plan. • Major Credit Cards – American Express and Discover, MasterCard, Visa and Diners Club. • Payment Plans We offer patient financing through CareCredit and Chase Health Advance. Proudly serving Burbank, Toluca Lake, North Hollywood and surrounding communities. Meet Your Burbank Dental Office Staff! Don't make your smile wait! Make an appointment now! We love our patients and they love us! Read some of the wonderful things they have to say about us and make your appointment today! "Very friendly, great office that is super clean. Small tvs on a swivel arm on each station (so you don’t have to crane you neck to have something to take your mind off of the dentist). They wanted to do a special rinse after my check up and cleaning. This was the only thing that could be considered a possible up-sell but they were totally polite and not pressuring. I declined and they were nice. Totally keeping this dentist." "Came on a Saturday morning. -Clean, well decorated, relaxing facility -Polite staff -Relaxing music constantly playing -TVs at each chair so you can watch while you wait and while they work on you -Assistant was careful and knew what she was doing -Dr. Kerikorian was honest, quick, friendly Definitely coming back." "I can’t say enough great things about Dr. Kerikorian and his staff. Proof: I cried at least 78% less than I normally do at dentists. Amazing! Now, I am not an easy patient. I’m not flipping tables or needing to be sedated, but like most I have a fear of dentists. I’ve known that I’ve needed to get work done for a while, but I’ve been too terrified to do it. However, you just can’t help but trust this doctor– he actually takes the time to fully explain what you need, what he wants to do, AND what will happen afterwards. He takes his full time with you, and never once gave me the impression that he was in a rush. That, and he is constantly reassuring about the discomfort/pain of the procedures. I finally got the fillings I desperately needed, and it was exactly as he said it would be. 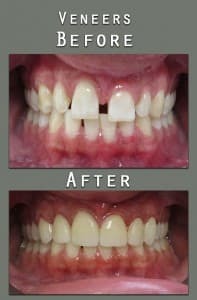 My first fillings ever in my life. Piece o’ cake. For the first time in my life, I’m not scared of dentists. (This one, anyway. As far as I know, the rest are probably still bloodthirsty monsters.) I have a terrible time taking X-Rays– those thingies just never fit in my mouth right, and my bite is odd so it’s a battle to bite down on them. The doc and his staff were incredibly kind and patient with me in making this work, even though it took at least 5x the normal amount of time. Never once did they make me feel like I was an inconvenience (despite the fact it obviously was), so I knew then these were great, supportive people. The office itself is modern & clean and the staff (from the kind front desk lady to all the great dental assistants) is all super sweet and ready to help. If you’ve been hesitating on seeing a dentist, don’t. This is where you need to be."